Peel and trim the carrots first. 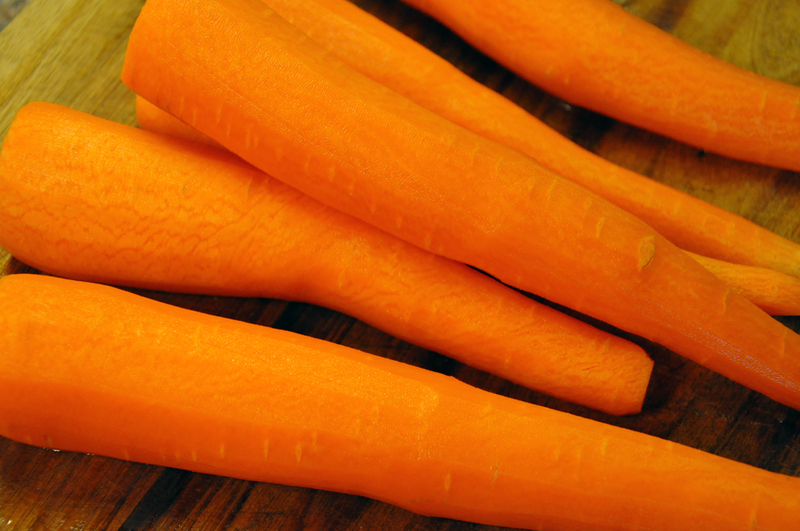 The first cut is to simply cut the carrot diagonally. 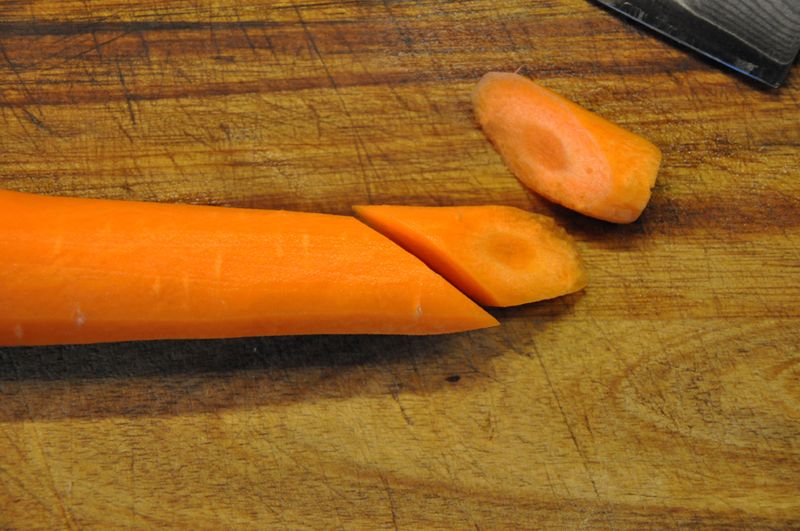 Next, turn the carrot toward you so the flat part of the cut you just made is facing you/up. 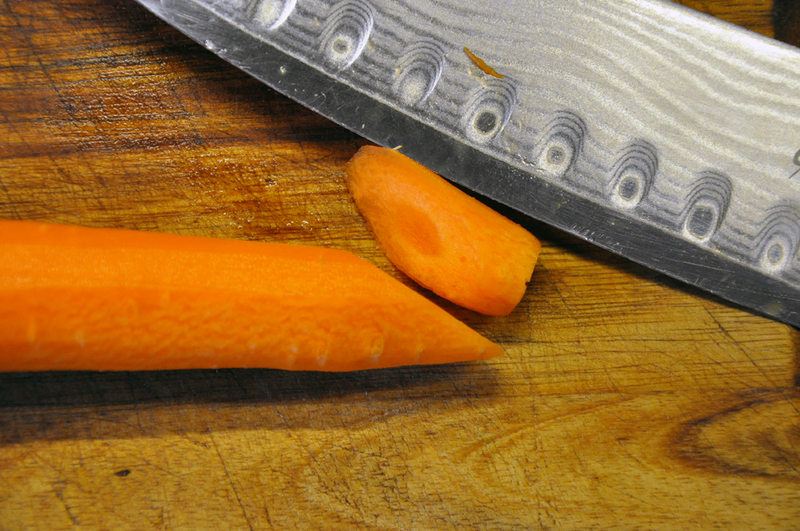 To make the second cut, put your knife where top of the first cut meets the rest of the carrot and cut diagonally again. Continue that pattern until you've cut the whole carrot. Saute in butter, brown sugar, stock and salt - done in minutes! 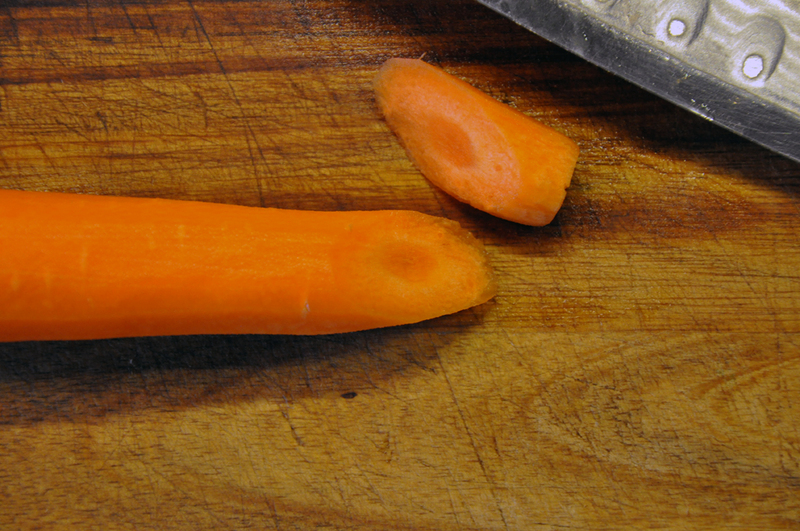 To make the oblique cut, lay the carrot horizontally in front of you. Make a diagonal cut. Then turn the carrot toward you so the cut in flat facing up at you. Put your knife at the place right where the top of the first cut meets the rest of the carrot and make another diagonal cut. 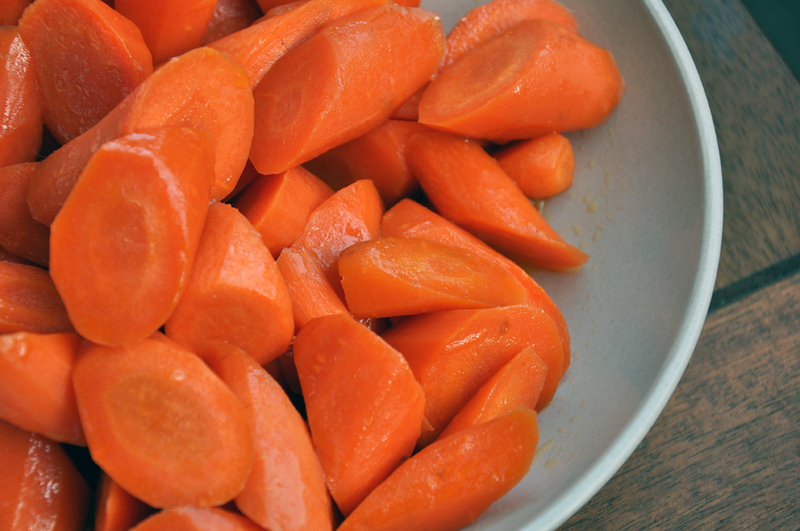 Repeat this process, turning the carrot toward you and making diagonal cuts through the whole carrot. 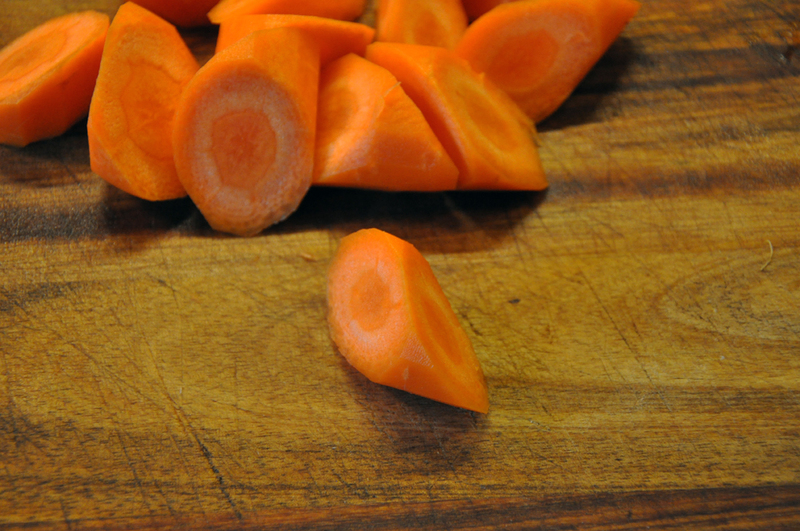 Decrease your angle as the carrots gets thicker so the pieces come out relatively similar in size and surface area. Heat the butter in a large skillet over medium heat. 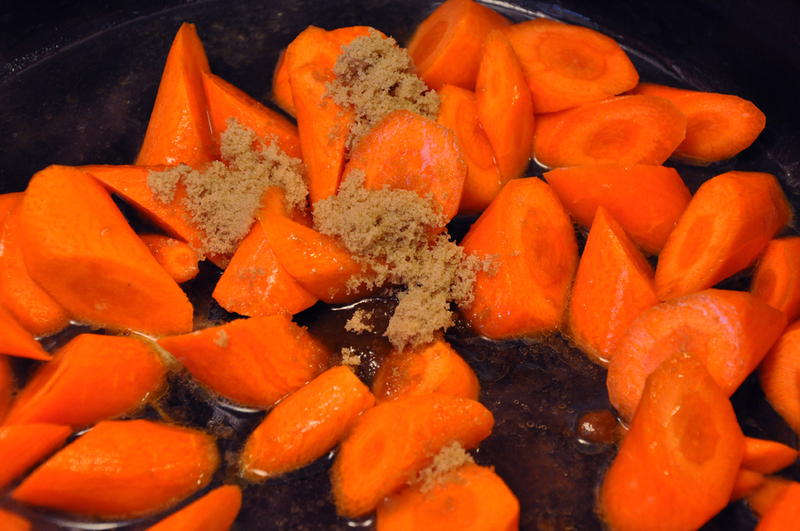 Add the carrots, brown sugar, stock and salt. Cover and cook 5 minutes. Uncover and simmer 2-3 minutes until the glazed has thickened and the carrots are to your desired tenderness. Serve warm.